We are a leading Manufacturer of acoustic attenuators from Ghaziabad, India. 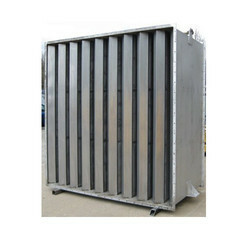 With immense market knowledge, we have been able to provide optimum quality Acoustic Attenuators. It is useful to reduce noise generated by air or gas flow with keeping the pressure drop as low as possible without compromising the air or gas flow itself. Commonly used in power plants, steel plants or mixed applications. Looking for Acoustic Attenuators ?